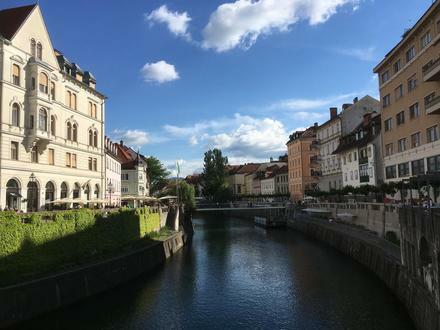 Located 8 km from Ljubljana Castle and 4.8 km from Kino Šiška, Rooms in Ljubljana offers pet-friendly accommodations in Ljubljana. The property features views of the mountains and is 5.5 km from Stožice Arena. A flat-screen TV with cable channels is available. Other facilities at Rooms in Ljubljana include a barbecue. Stadium Stožice is 5.6 km from Rooms in Ljubljana, and Tivoli Hall is 6 km away. Brnik Airport is 14.5 km from the property.